Winters have finally arrived and so is the horror of taking showers. Taking a shower regularly is not just essential but also a healthy habit. If you want to double the benefits of showers, switch to cold showers. I know I will get a lot of heat on this topic but trust me cold showers are way more beneficial than long comfortable hot showers. It is difficult and discomforting initially but once you get used to it you will start enjoying your cold showers. There is no better way to feel like a man than challenging yourself every morning. So, apart from the manly feeling here are some amazing benefits of cold showers. Our body has a natural mechanism of preparing us for the worst. When you take cold showers regularly your body becomes resilient against cold and you’re less likely to feel cold later in the day. The simple reason to this is that when you expose your body to extreme cold, the temperature of your body increases to save you from catching cold. Cold showers are proven to increase alertness. The moment your body gets a shock of cold water, your system wakes up and you stay alert all day long. It awakens all your senses and you are less likely to experience lethargy and drowsiness. According to a study in England states that taking regular cold shower increases white blood cell. Our body in order to stay warm activates the immune system instantly. So, if you want to avoid getting sick, go cold all the way. It is proven that our testicles when exposed to heat, results in decreased testosterone. That is the reason they hang outside of the body. So, cold showers allow them to produce more testosterone. This is a natural and effective way to boost testosterone production without taking supplements. Cold showers instantly improve blood circulation. When your organs feel cold, the blood circulation increases to keep them warm. So if you want to look youthful, feel good and stay fresh, take cold a shower. 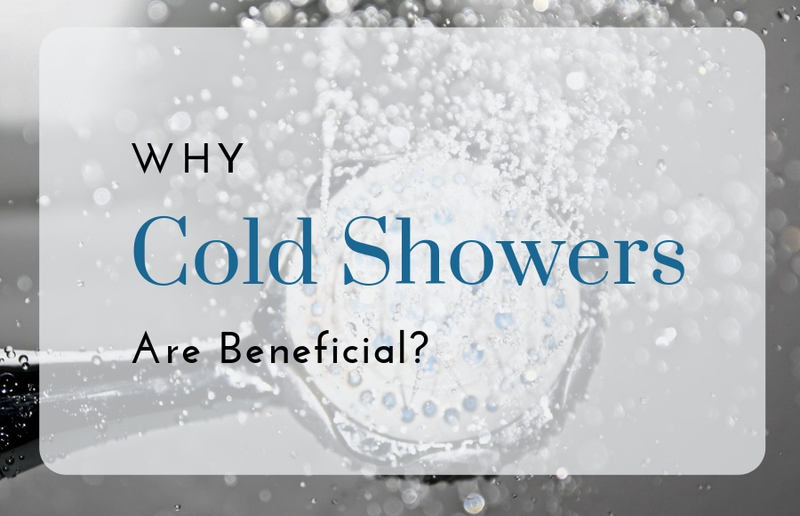 Not just physical but cold showers have numerous mental health benefits too. One of them is that they reduce stress, when you are stressed the amount of uric acid increases in your brain which can be lowered by taking cold showers. Your skin and hair lose their natural oils in warm water. Cold showers help to retain these essential oils making your skin supple and hair healthy. In some cases they are proven to reduce hair-loss. Your skin stays moisturized and soft all winter long. If you’re new to muscle building and weight training, cold showers can be a very good idea to speed up muscle recovery. Your muscle gets the right temperature to relax and recover. For better results you can try ice baths but that is an extreme method for intensive trainings. Insomnia and sleeplessness can be cured by taking cold showers. Cold showers relax your senses and you experience a deeper slumber. It is proven that your body relaxes better if the temperature around you is cooler. Sometimes, taking small challenges like cold showers can make you more disciplined and provide many health benefits. It is definitely a good idea to feel alive and energized. If you’re scared of cold showers, you can start with a warm shower and finish with a cold one. Once you get used, it is an enjoyable experience. So, if you want to enjoy winters to their fullest, time to take a cold shower. Let us know in the comment section about your favourite cold shower experience and we will feature it. How to Quit Smoking or Any Bad Habit? How Your First Day at the Gym Should Be Like?